In this week's How I'd Wear It you get two pieces from the shop! I was only planning on styling the dress, but I felt like it needed a layer on top to make it more seasonally appropriate since it's short sleeved. 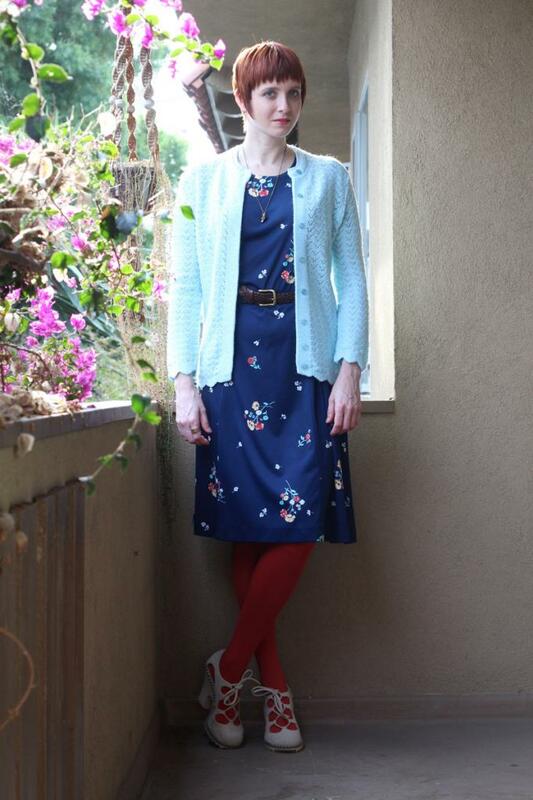 Nothing in my closet seemed right and then I remembered this cute light blue cardigan that I listed not too long ago! I think it gives the whole thing a ladylike quality, but the tights, shoes, and skull necklace betray my funky side. How would you style these pieces?